I have an idea for something fun we can do. Let's pretend that starting right now, we lose electricity for three days. That's fairly realistic. Further, it's a regional power outage, so all stores are closed (no electricity for lights, cash registers, etc.) In other words, you're going to have to feed your family for three straight days solely from what you have at home. In the comments, tell us what you'd be eating and how you'd be preparing it. Or, post it on your blog and come back to leave a link. Since I wouldn't know then that it would be 3 days, I'd probably not open my fridge or freezer, knowing these can keep things cold for about 24 hours. That means meals for the first day would come from the garden and food storage. My stove and cooking appliances are all electric, so it would be campfire cooking for us. We have city water, so that shouldn't be an issue. When we had well water, the pump was electric so we had to store water as well as food in case of power outages . Currently from the garden, we could harvest the last of the lettuce and broccoli. I've also cabbages and plenty of Swiss chard. All these could be eaten either raw or cooked. We might even manage a few strawberries as they are ripening sporadically. Wild foods would include sheep sorrel, poke, and daylilies. From the pantry, we could eat boxed cereals, tinned fruits, vegetables and meats (tuna & chicken). Home canned foods include pickles, jams, jellies, and recently, canned Swiss chard. I also have dehydrated green beans, onions, figs, blueberries, raisins, and cranberries. I have dried beans (pinto, black turtle, lentils, & split peas) along with barley. I have popcorn, but no campfire corn popper. I have enough flour to last awhile, but no way to bake anything (must look into making a solar oven), so pan cooked breads would have to do to accompany our meals. I do have an old-fashioned stove top percolator, so we could still enjoy a cup of coffee. On the second day however, I'd have to do something about everything in the fridge and freezer. In the fridge are things like onions, potatoes, and various raw fruits and veggies. Also my sourdough starter, last of the latest batch of sauerkraut, condiments, and almond milk, which we'd have to use up immediately, and about a dozen store-bought eggs. The freezer contains grains, rolled oats, rolled spelt, and flour, but also meat and meat broth. We could cook and eat some of the meat. Since our temperatures are getting pretty hot these days, I'd have to can the meat and broth (together) to preserve it. I've done campfire pressure canning in the past, so I know it can be done. And I do have plenty of canning jars and lids in storage. Third day we could still eat out of the garden and pantry, as well as the fruits and veggies I had in the kept in the fridge. 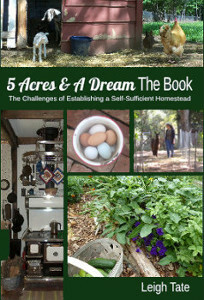 Basically we could eat well from what we have on the homestead, without much variance in our diet. The biggest challenge would be cooking and with that, it would be whether or not it had rained recently and we had enough dry firewood to do the cooking! rented a heavy duty chipper and finally cleaned up the huge piles of brush we've cleared out over the past year. I'll use this as much needed mulch. if I need hot water, I run the cold out of the line into a pitcher. I can put this in the bird bath, water plants, or dump it into the washing machine. Tto read what other Independence Days Challengers are doing, click here. and couldn't buy from the store. So I could transfer some ice to the frig to help that stay cold. But we would probably be trying to use up the food in the frig and then the freezer first before hitting the pantry. I could cook a lot of items on our gas grill and some on the fire pit too...I just have to hope that it isn't too windy outside. Ooh the fun part would be that our vehicles would be stuck in the garage since the door opener is electric...unless we want to throw our backs out by pushing the door up manually. ugh! We're on city water, so that would be okay. ah, well, we would cheat of course. I would make Gene get the big old generator going. Everything runs on it except the hot water tank. In the past, we have cooked on the grill or the wood stove. Now, with the horses we have to have the gen. to keep the well pumping for water. Renee, yes, that is a good idea about keeping extra ice. I've done that some, but really should keep the empty spots in the freezer filled with ice. I'm finding that my almond milk cartons work well as they make nice flat blocks of ice. Good point about the garage door. There are so many little things with electricity that are easily forgotten. Until one has to do without! Theresa, I don't think that's cheating at all! If you've got a generator, then you're prepared. We talk about getting one, but haven't tackled that issue yet. I would have few problems. I cook with gas, the only thing I'd need to do would be to put out matches instead of the electric ignite. as it is summer I would just cook small amounts of hot water on the stove... I could also light a fire in the range, take out the old washing pot (used for dyeing now) and wash this way - have done it for years before we bought the washing machine. I have enough food in storage for at least 4 weeks, and most of it not in the freezer:)) so my life wouldn't be all that different - apart from using the computer of course:))no cars = no garage = no problem! --It may not be summer, so you'll need a heat source; wood, most likely. --You'll need an emergency radio of some sort; can't count on your cell phone for news, esp. if you can't charge it and you may need the gasoline in the car for, say, evacuation. --A gas grill is best for cooking since it can withstand a snow storm (if you can get to it through the drifts). --Water is a biggy, and since we're on a well, I stockpile it in empty soap containers; and have drinking water in DATED containers which I rotate out semi-regularly (should be more vigilant on this). --A solar oven. A make-shift one can be made from cardboard and aluminum foil. A black dutch oven comes in handy here. Of course, this presupposes you have sun. --An evacuation plan, if necessary, including bedding for camping out at the local shelter. That's all I can think of right now. Best would be to have a generator that runs on propane. Bettina, I didn't know you don't have a car! I wouldn't mind not having any ourselves. I think the hardest part would be no computer. We'd all want to be blogging about it! Sue, you're going above and beyond the call of duty! Or at least of this exercise. :) What you say is all true of course. I'm still curious though, what would you all be eating if you were to lose power for the next three days? I like this challenge. I'm lucky: my cooker (both hob and oven) is gas, so I could cook without issues. If the mains gas gave out too, we have bottled gas and charcoal for two different bbqs. - milk, which is the thing I'm most likely to buy midweek. - the microwave, which I use to cook some veggies and to defrost things. It would be important to start using the fridged/frozen stuff in preference to the dried goods once it became clear we were in it for more than 24 hours; I have no canning apparatus, and have never canned, so use up what will go off, and don't eat too much of the things that will keep! What could I change to be more prepared? - the microwave's not really a problem; just a case of forward planning and other methods. Oh - and it's just occurred to me that the dreaded WASHING UP would re-surface. I would really miss my dish washer! Sue, thanks for playing along! 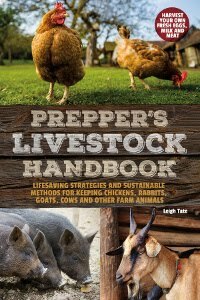 When I first blogged about preparedness (seems like an eon ago now), I got amazingly varied responses to what I thought was a pretty straightforward, obvious idea. Because of that, I've wanted to encourage folks to consider the necessity of at least some food storage and a 3 day blackout seems plausible enough for everyone. It was personally interesting for me to stop and do a preparedness check like this. Also to read what others would do as well as good advice like yours. I like your idea of the makeshift solar oven. Our sun is sporadic, so something like that makes more sense than going out and buying an expensive prebuilt one! Alison, yes, having gas is a real blessing when the power goes out! Freeing milk is a good idea, one I will probably utilize once we have a milking goat. Canners in the US are two types: water bath and pressure. Obviously both require heat but not electricity. Water bath canners are huge enameled pots, and are used for canning acidic foods such as tomatoes, pickles, peaches, jams, & jellies. Pressure canners are used for everything else including meat, soups, broths, etc. I have two pressure canners, one holds 4 quart jars, the other 7. Leigh - do we have advance notice that we are going to be without power and all the shops will be closed? This situation occurred for us rather frequently in our living in developing countries years. Sometimes with advance notice, sometimes without. And also here in Ireland the shops used to close for 5 days over Christmas and Easter. That was a struggle - I never could figure out how people with large families and lots of visiting relations managed. Janet, try both. the idea here is to work toward some sort of emergency stores. Here we sometimes get horrible weather from the remnants of hurricanes including torrential rains, high winds, flooding, and of course power outages. A lot of folks wait for the warnings and then go to the stores. Woe to the latecomers though, as the shelves will be literally empty! I figure it's better to have three days worth of food someplace handy. We'd eat boiled/salted/buttered millet for breakfast, along with some scrambled eggs (gas range). That's what we eat all the time anyway :) Delish! Lunch: PB and jelly s'wiches (lots of bread in freezer). This was a fun idea! Sometimes my wife and boys turn off all electricity for a day to pretend and learn what life would be like without it. This is my first visit to your blog by the way and I look forward to coming back! Welcome! And thanks for playing along. Freezing bread is a good idea and I'll have to do that myself. I also like the idea of doing without electricity for a day. As other readers have mentioned, sometimes its those little things one wouldn't initially think about. I appreciate all the comments and ideas. Hi Leigh, thanks for stopping by my blog. I just wanted to say that you can still plant more spinach. We plant a second crop in early to mid August. The crop lasts a lot longer because it grows as the days get cooler. We put row cover on it later in the season to protect it from hard frosts. We also plant some spinach in our cold frame in late September. It sprouts and maybe will get its second leaves and then will be dormant but in March when the days get a little longer and a little warmer we are eating some of the sweetest spinach of the year. I also dehydrate Kale and will use it breads as well. I have a 4 year old that is not very open to trying new things, so I can sneak some of these leafy greens in foods I know he will eat. 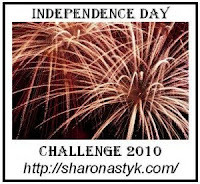 I just found your blog through the Independence Days challenge, and just wanted to let you know it's a great resource. I also couldn't help but respond to this challenge. In May of 2009 we had a major storm, what the national weather service called a Derecho. The regional where I live was without power for at a minimum 4 days, and some were without for 2 or more weeks. We were in the center of the damage area and it was at least an hour drive in any direction to find some place with electricity. We learned a lot from this event. First, you can't depend on city water. The city relies on electricity to pump and purify, if their generators fail you will either have no water at all, or it will need to be boiled. Next, if you have an electric hot water heater you will only have hot water for a short time. Have a plan to do dishes, wash hands, etc. Clean dishes are a necessity and it is a huge moral booster to be able to keep clean. Have a way to wash clothes. If the power outage is widespread, as it was with us, there will be no gas stations open. They can't pump without power, and when they do open with a generator they most likely will not be able to run credit or debit cards. If you're using a generator, do you have cash on hand and do you have a way to siphon gas from vehicles to put in the generator? We found that car cell phone chargers were a necessity. Cell phones were the only way to communicate with the outside world for days. Batteries and a battery operated radio were invaluable in finding open gas station, etc. Know who your community partners are. While we all try to be self-sufficient, there is always something you forget and would make your life easier. As a general rule, I don't like Walmart. But, within 24 hours of this storm hitting, the Walmart in our area was open with a whole building generator and had emergency supplies shipped in - tarps for roofs, bottled water, generators, batteries, camp stoves, propane, etc. Kudos to their employees who came in to work! Lastly, you have to remember, if you don't have power and it is a sustained outage, your local hospital will not have power either. It will most likely be running on generator power and as such, will most likely not be able to function with all of their services. Most medical records are kept on computer and labs, xrays and surgical services may be limited. Have a hard copy of medical history, medications and allergies available for everyone in your family. The hospital will also be overwhelmed with people who have special needs and cannot function at home without electricity, so any visit to the emergency department probably take a really long time. Pharmacies will be closed, so an extra supply of any necessary medication, plus pain relievers/fever reducers and general first aid supplies are a necessity. That being said, if our power were to fail today and be out for 3 days we would eat peppers, tomatoes, green beans, strawberries and blueberries from the garden. We have a generator and enough extra gas to last about a week so the in the fridge/freezer would stay cold. I would cook on our grill. We have city water, but I wouldn't trust it in our power outage. The ability to know if we were under a boil water order would be limited, so I would use our stored water for any cooking/drinking. If I include our canned/frozen food we would probably have enough food for about 3-4 weeks, with the exception of milk and eggs. We do have powdered milk...and in the future I would love to have chickens! AJ, thank you for visiting and for taking the to leave such an informative comment. I think experience is absolutely the greatest teacher, for many of the reasons you mention. Food and water are definitely first steps in emergency preparation, though hopefully those who read this post and the comments will get a better idea of what to be prepared for in the event of a serious power outage.